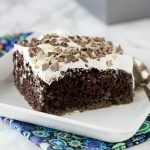 Peanut Butter Cup Dump Cake – Just 4 ingredients come together to make a rich, fudgy, chocolate-y cake studded with lots of peanut butter cups! I like baking and coming up with new desserts. I know not everyone is like that, but it is something I definitely enjoy! Something like Mint Chocolate Chip Pie is easy to make, but always impresses everyone. But sometimes you want to fall back on a classic, and maybe update it a little bit. 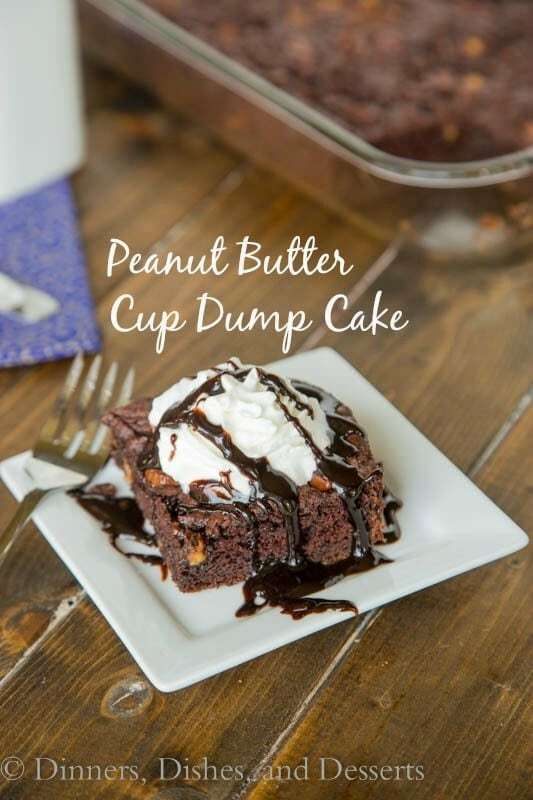 A dump cake is a classic dessert that is so easy to make. Everyone loves them! 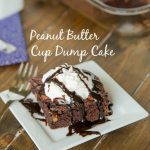 This chocolate dump cake gets a little fun with the add in of peanut butter cups. 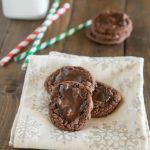 But the same classic 3 ingredients, and the same super easy recipe. 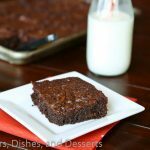 It is a super simple dessert where you just mix the ingredients together and bake. It starts with a cake mix and then often times some kind of fruit filling and butter. Here we used a chocolate cake mix and a box of chocolate pudding with milk to bring it all together. It is exactly what it sounds like, just dump the ingredients and bake. Lots of times you layer the ingredients in the baking dish and don’t even mix it. This one is a little different because I use milk to bring it all together. But you can dump everything in the baking dish and mix in there if you want. 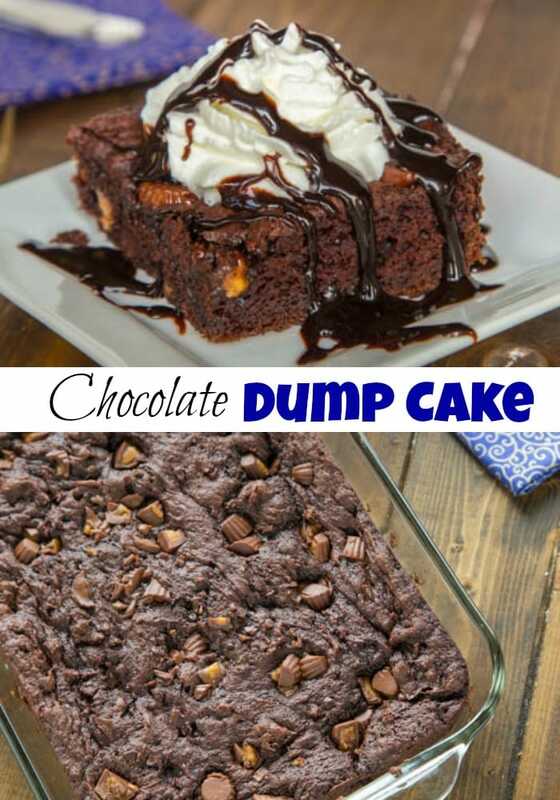 Have you ever tried a dump cake? The concept is super easy. Just dump cake mix, pudding mix, and milk together. Then you bake. No mixer required. 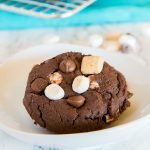 Super easy when you have no time to bake something. You can use any flavor cake you want! 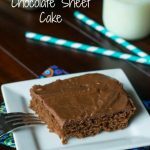 Different than a chocolate sheet cake, but so good and you will love it! 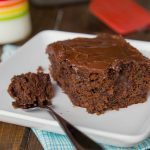 This chocolate dump cake is perfect to then dress up how ever you want. Add in chocolate chips, cherry pie filling, candy of your choice. 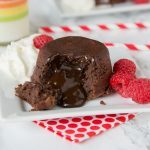 Top with whipped cream, ice cream, or even hot fudge sauce. So easy to customize to whatever your family likes. 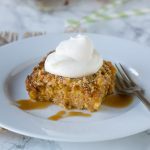 Pumpkin Dump Cake is a great one to make in the fall. Whisk – I love a heavy duty metal whisk for a lot of different uses. I want it to be able to hold up to a thick batter. And this one has lasted for years. 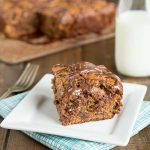 Peanut Butter Cup Dump Cake - Just 4 ingredients come together to make a rich, fudgy, chocolate-y cake studded with lots of peanut butter cups! In a large bowl whisk together milk and pudding mix. Add in cake mix and stir until combined, will be very thick. Fold in peanut butter cups. Bake for 25 minutes, or until tester comes out clean. Want even more dessert inspiration. 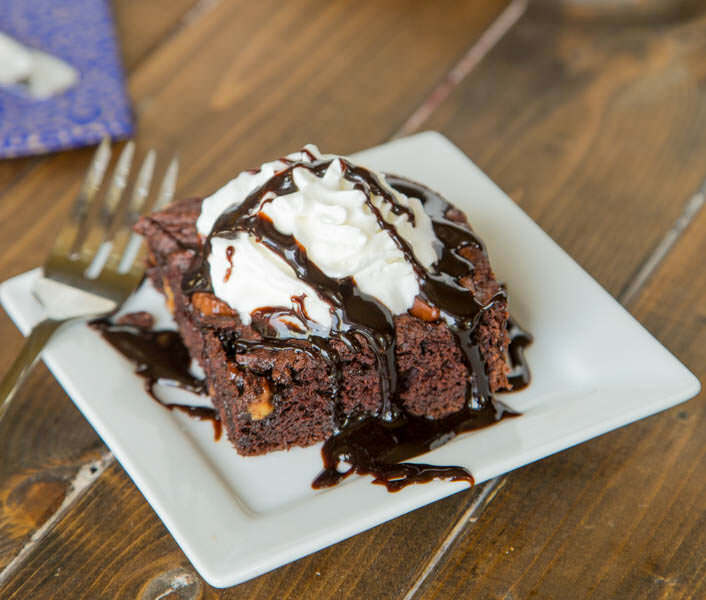 Browse through my Recipe Index for even more dessert ideas. 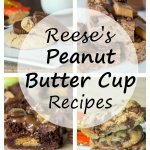 Follow along on Pinterest and never miss any great recipes! If I had to wait 90 minutes for a car thing I would most definitely need some chocolate to soothe the soul after. 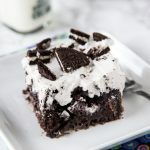 This cake looks super yum!! 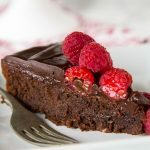 Love easy cakes like this, especially when chocolate and peanut butter are involved! 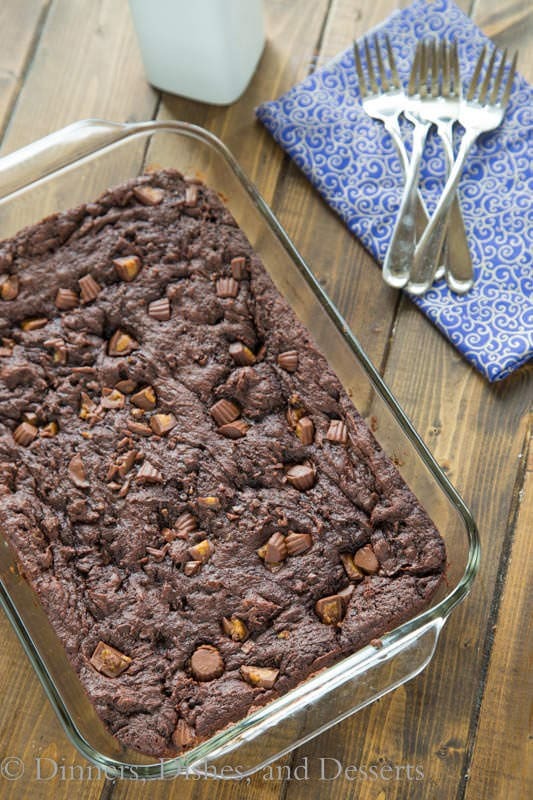 You can make a peanut butter dump cake—wow you did good. I had no idea. Two questions: what flavor pudding, and what size? Other than that, it looks yummy, and I am going to try it. Chocolate pudding, and whatever the standard size box is (I think it says 4 servings on the outside). Sorry, I am traveling, and do not have access to the size right now. So do you use all the packages of pudding in one box? Or are you just using one packet of it? I package of chocolate pudding comes only one to the package. At least in the US. Gelatin has multiple to a package, but that is not what you are using. Where are you located? Made this tonight and it is in the oven now. A little rough when there is a pop up ad I was unable to shut down in order to read the directions, (Triseba) Perhaps this can be fixed for others. I was able to “Print” and bring up a word doc version, which helped. Anticipating how yummy it will be when done. This looks awesome! However, it is most definitely NOT a dump cake! A dump cake is made by dumping all the ingredients in the baking pan in a particular order without having to mix anything ahead of time. The baking process causes everything to mix together and creates the final product. All you do is dump say butter, cake mix, fruit, and pie filling into a pan.